The first full week of trading in 2015 has shown a trend that is likely to be the harbinger for the year as a whole – volatility fueled by a tug of war between deflationary fears and hyped growth expectations in the U.S. economy. In this type of environment, option trading or taking short-term positions can make you a investing super-hero one day, and a goat the next. Trying to stay the course as a long-term stock investor will be difficult for those who are more risk-averse. The known variables which can readily be used to grasp where stocks will gravitate in 2015 are much harder to decipher than the past two years. The reason it is getting more difficult is that stocks have now entered what I call the “borrowed time” phase of valuation expansion. 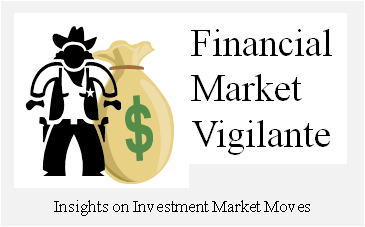 Many of the economic variables that are strongly correlated with continued inflation of U.S. equity prices are now stressed and the signals are growing that a deflationary pressure release sell-off is in store for the U.S. equity markets. The seven major metrics I use to make this assessment are highlighted in the table below, and are backed by on-going research explained in my book – Theory of Financial Relativity. 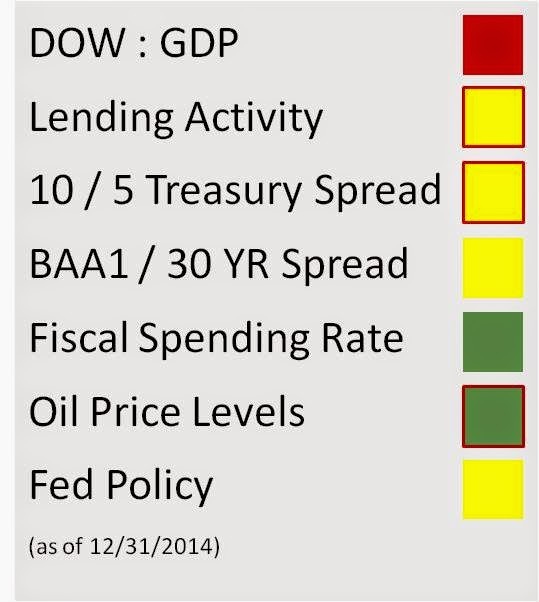 The financial metrics as 2015 begins are increasingly cautious, as exhibited by the number of yellow and red markers. The model over the past two years has become progressively more “colorful.”, another way of saying the trend is not your friend at the present time. Based on the research I have done in each categorical area, I expect more of the metrics to reach a red level before the stock market is likely to undergo a sustained severe downturn. The increased areas of caution in many of the metrics, however, set 2015 up in my opinion to be a very volatile year for equity values, with a likelihood of a major intra-year drop at some point. Getting updates about stock market from you and epicresearch.co is like having great trading experience.